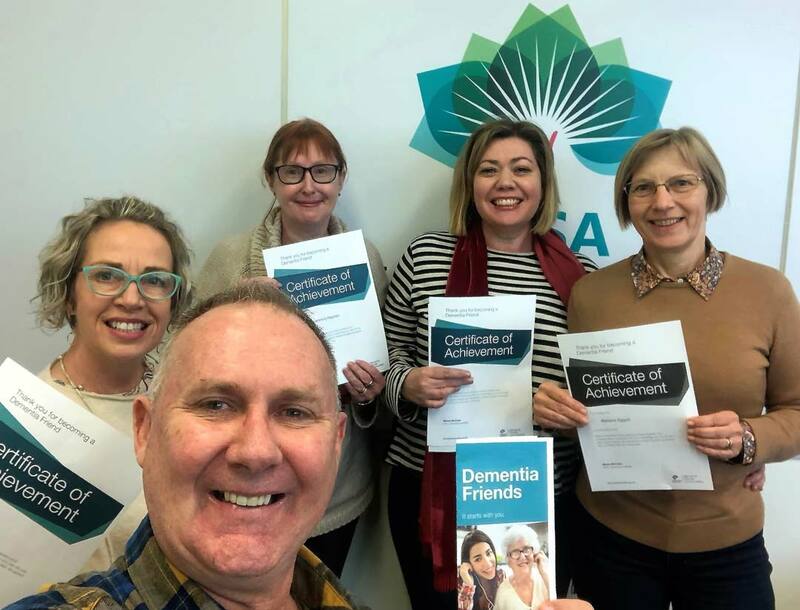 September is Dementia Awareness Month and Leading Age Services Australia (LASA) has shown its commitment to better support people with dementia with every LASA staff member completing Dementia Australia’s ‘Dementia Friend’ training program. LASA CEO Sean Rooney said LASA staff want to make a positive difference in the lives of people living with dementia through building increased awareness and support. “An estimated 425,000 Australians are living with dementia. It affects the individual living with the condition as well as their loved ones who often provide the support and care,” Mr Rooney said. Mr Rooney said many LASA Members are at the forefront of delivering innovative, cutting-edge models of care for people with dementia. “Providing age services to people with dementia requires specific skills and approaches. With research constantly building on our understanding of dementia there are new and emerging models of care to support people living with this condition.” Mr Rooney said. “Smart houses with voice activation, monitoring systems, automation for lighting and electricity, and fall detection alarms enable dementia friendly environments. Mr Rooney said with all LASA staff becoming Dementia Friends, we help tackle social isolation and stigma through education and awareness. 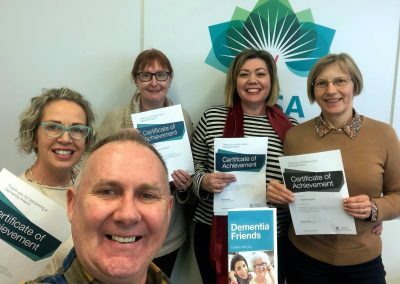 “As certified Dementia Friends our staff now have an improved understanding of dementia and we are better able to support people with dementia both in our professional roles, as well as our personal lives,” Mr Rooney said. 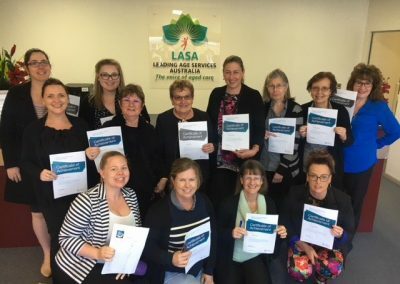 “I am very proud of all LASA staff for embracing the ‘Dementia Friend’ initiative. Visit dementiafriendly.org.au to get involved and become a Dementia Friend today.